Cuteness is OBSESSED with Nutella, hence my nutella pinboard, where you will find this cake. 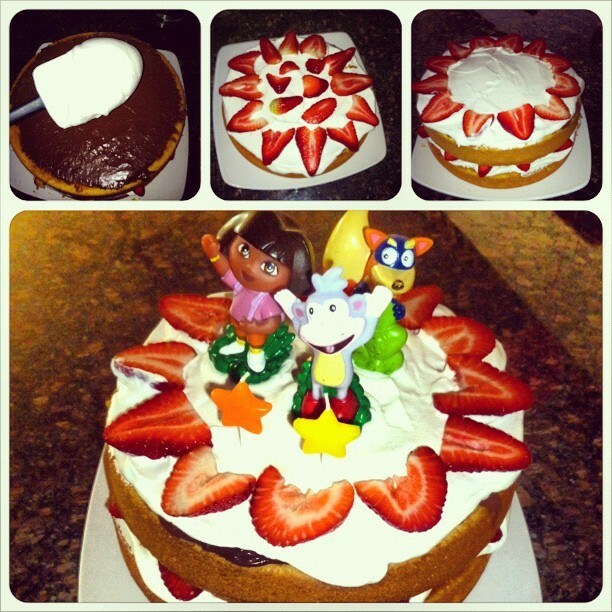 Really, the cake is just a vehicle for getting to the whipped cream, Nutella, and strawberries! 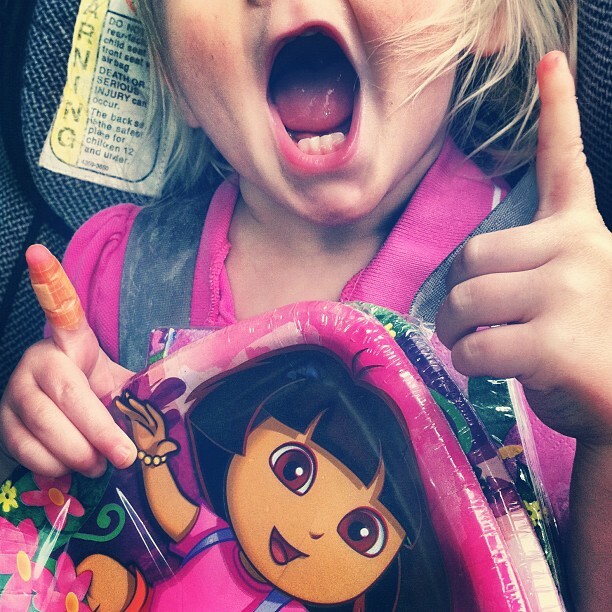 Cuteness is also DOUBLE OBSESSED with Dora! 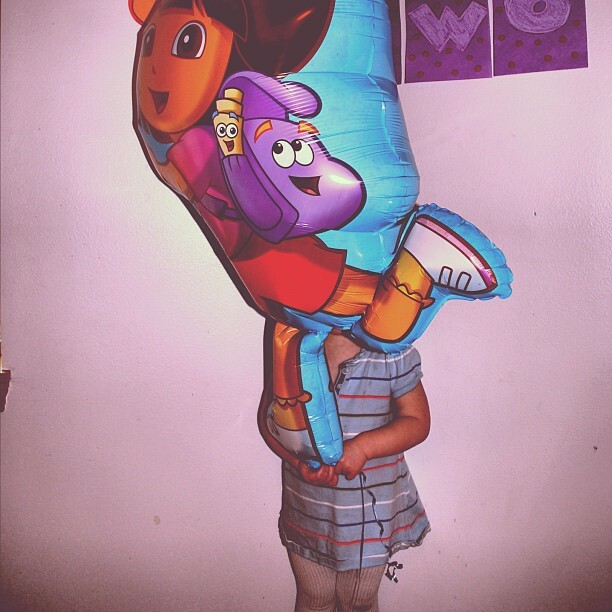 She would not let go of the Dora balloon, even to eat! And, no one at the party better try to touch it or the 2 year old wrath would be felt! Open House for Butterflies is by Ruth Krauss (illustrated by Maurice Sendak). Cuteness would not leave the store without this book! And as you can see, boy can she pick them! This book is so fun and silly and perfectly childlike. It just makes me laugh! 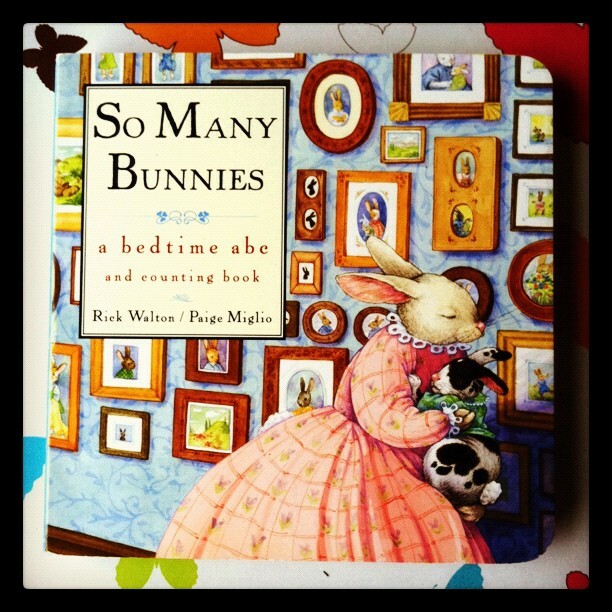 So Many Bunnies (this is the board book version) by Rick Walton is ADORABLE! I cannot believe I haven't seen it before now! 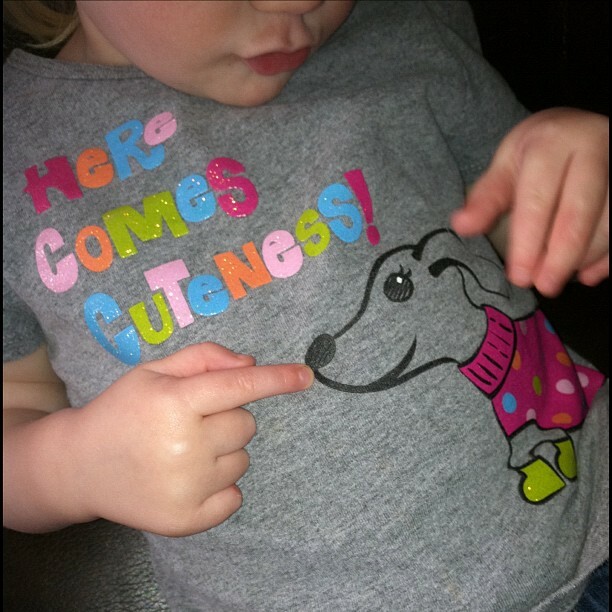 It too is one of the books Cuteness picked for herself. Oh, so cute! It's an alphabet book, a counting book & a rhyming book. I know that sounds like it would be too much, but it's totally not! Really, the rhymes are sweet and simple and the counting and alphabet part fit right in! Need a bunny book for any upcoming holidays? Hint hint. I love this one! Oh- I didn't even mention the illustrations yet, they're charming too! So, I'm sure you're wondering what Cuteness uses to hold all these great books. Let's stop and think. What could she use to hold the books? 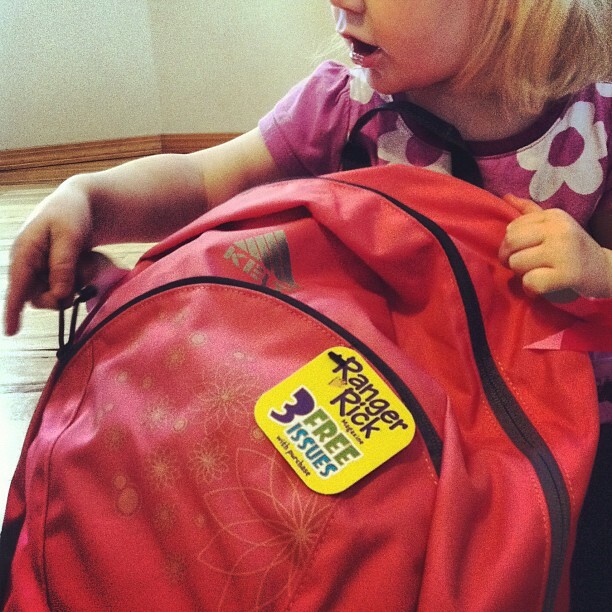 A new backpack? That's right! Say backpack! Say backpack! Sorry, I just had to do that. Oh, if only she had a monkey sidekick and an all knowing map! Maybe next year.